It is Friday and I am known for my "Friday Pizza," which I tend to make out of leftovers. Today however I feel more like pasta. I LOVE spaghetti and meatballs, actually I just love spaghetti any which way. Have you ever made your own pasta? It is not so much work, but it is time consuming, and oh so good! So, “what’s for dinner Mom?” Today we are going with Pasta. To make pasta you need flour and egg. If you have a very fine flour “type 00” that is the best, if not then use what you have. Use 100 grams flour per egg, depending on how much pasta you are making. I would say 1 egg per person, so if you are making pasta for 2 people, 2 large eggs and 200 grams flour. OK, so I am using metric and you might need the American measurements which are 7 ounces for 200 grams. Make a heap out of your flour on a chopping board with a hollow well in the middle. 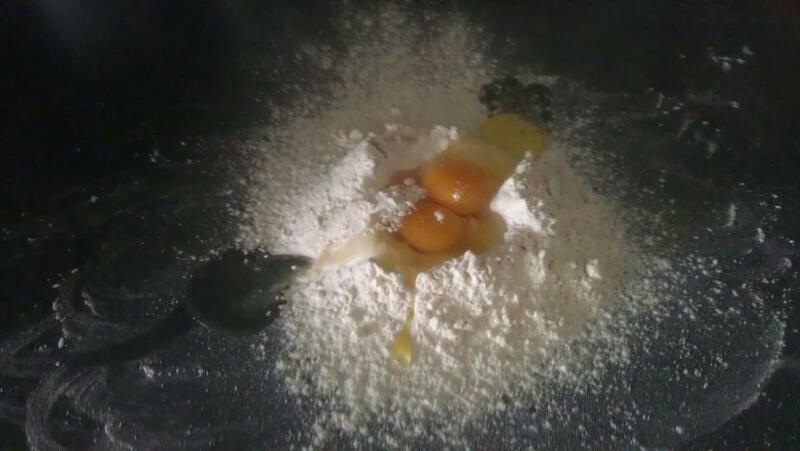 Crack your eggs into the hollow and mix your eggs with a fork gradually adding flour to the eggs. At first it will form crumbs and won’t look like it will ever come together. Keep working and it will. Eventually you will have to get your hands in there as well and knead the mixture. Squash it with both hands and then stretch the dough and fold it back on itself, give it a little twist and repeat. Keep doing this until the dough feels smooth. Wrap your ball of pasta dough in cling film and leave in fridge for about 1 hour, more or less depending on how much time you have. 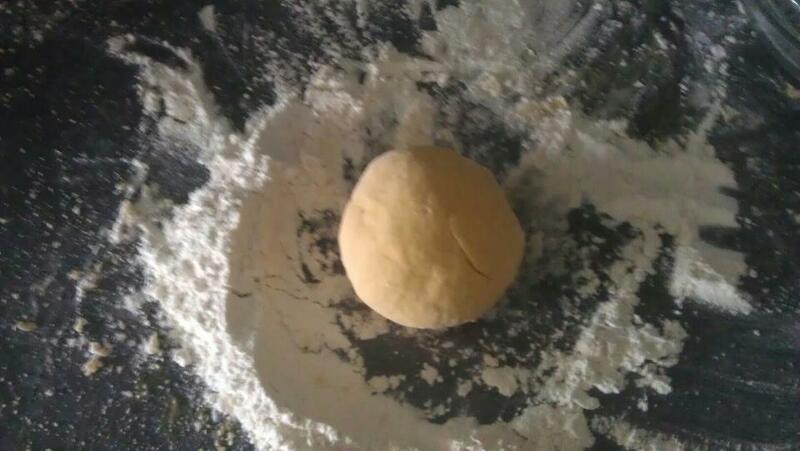 Remove your pasta from the fridge and flour a rolling pin and chopping board. Roll out to the required thickness and cut into strips with a knife, whatever size you decide to use just make sure you cut them as close to the same size as possible. If you have a machine, go for it. Your pasta is ready. You can now either hang it to dry or cook it right away in salted boiling water – it’ll only take a couple of minutes, unlike dried pasta, so keep an eye on it. Now that you have your pasta, you can do just about anything with it. Eat it with just melted butter and garlic or fresh herbs. Talk about a cheap and delicious meal! You can also get some ground sausage and make meatballs that you can add to a nice tomato sauce . I like to serve my pasta with Italian ground sausage meatballs and a nice garlic tomato sauce, ground Parmesan on top...of course. 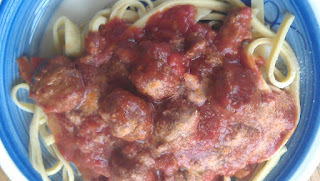 Now I could tell you how to make the meatballs and sauce but I think the pasta is enough for today. Enjoy your meal whatever it is and have a great week-end! Anyone have something to say about pasta? Norwegians say that potato is king but I beg to differ and prefer pasta any day. Hungry now? I sure am. Here is a little video that will give you the idea. She is sprinkling on a little salt I think, but I don't find it important. Labels: homemade pasta, What's for Dinner Mom? 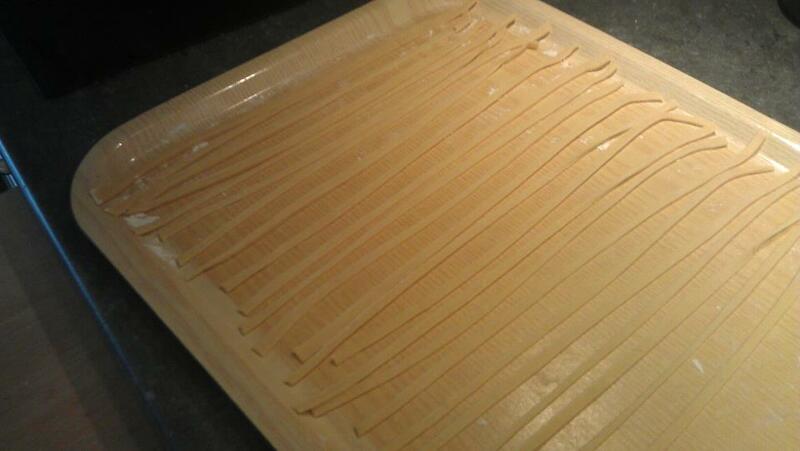 Once upon a time, I used to make my own pasta. But since I work outside the home and work on my writings, I no longer do this. Time. There's never enough of it. I think my pasta making would end in disaster but I can do my own sauce! I'm pretty sure I just gained 99 pounds just reading this! lol My favorite kind of meal. That looks might tasty! I tried making homemade pasta once and all I made was a mess. I''l just buy it from now on. Hi Siv .. I had a friend in South Africa who used to make all her own pasta (with a machine granted) .. and it was delicious .. Your recipe sounds delicious and I love most pastas .. and meatballs with a garlicky tomato sauce .. Thanks for the recipe. Can you guess what I will have for supper tonight? Yummy pasta! Wow, that looks fantastic. I've never made pasta! You know this title would flush me out of hiding, Sis... Lol. Since I am Italian with a sprinkle of Norwegian, I had to check out your pasta... YUMMY ... Looks DELISH! Great job Sis! So I guess this makes you Norwegian with a sprinkle of Italian.... It would have to be since we are Bro and Sis. Looks delicious. I too enjoy pasta, although I don' make my own pasta. I just made a simple suace last weekend of 2 dl milk, butter, 2 tablespoons flour,a little whip cream (vispgrädde)salt & white pepper and a can of tuna in water minus the water on fresh pasta in a bag. Was quite easy to make and good. I will save this link & try your pasta recipe ione day. Looks delicious. I too enjoy pasta, although I don't make my own pasta. I just made a simple sauce last weekend of 2 dl milk, butter, 2 tablespoons flour, a little whip cream (vispgrädde), salt & white pepper and a can of tuna in water, minus the water on fresh pasta in a bag. Was quite easy to make and good. I will save this link & try your pasta recipe one day.